Charlie’s winning weekend. | Belatarr Hungarian Wirehaired Vizsla. Jenny & David spent their whole weekend showing their boys, Belatarr Charlie Parker & Belatarr Hercules but it all well was worth it! We’re so proud of Charlie, who just gets better and better with maturity. This terrific weekend was just desserts for all the hard work and dedication that Jenny & David have put into him and puts Charlie within a whisker (or maybe a wiry beard?!) 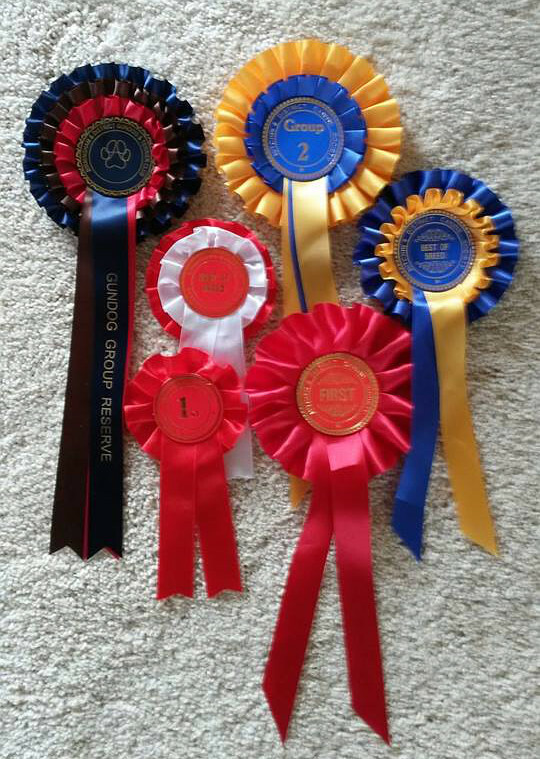 of achieving his Kennel Club Show Certificate of Merit….watch this space! Entry filed under: Belatarr, Belatarr Charlie Parker, Charlie Parker, Hungarian Wirehaired Vizsla, Puppies, Shows. Tags: Belatarr, Hungarian Wirehaired Vizsla, HWV litter, HWV puppies, Puppies, Showing, Wirehaired Vizsla. North Star shines in Wales! Great wins for the Boys.